Fiji is a “democracy by military permission” and the execution of another political coup remains a very real possibility, a recent report on the Pacific region has revealed. And the possibility of another coup has much to do with powers given to Fiji’s military forces in the 2013 Constitution. “Fiji has only partially returned to democracy since the elections of 2014. Fiji is a democracy by military permission, and the military forces are charged to intervene once again if necessary,” the report said. Dr Stewart Firth, author of the report and a Research Fellow at the Australian National University’s Department of Pacific Affairs, College of Asia and the Pacific, told IB Online that if there were to be another coup, a lot will depend on who will replace PM Bainimarama. “There is certainly the possibility of another coup given Fiji’s recent history, which is one of alternating periods of democracy and military government, rather like Thailand. But more likely is for RFMF to intervene in a way that can be defended as constitutional given its powers under the 2013 constitution,” Firth said. Should there be such a coup, Firth said it is highly unlikely to be a violent one. “Of course, a coup in Fiji does not bring instability of the kind that Solomon Islands had between 1998 and 2003. It is a change of who is at the top in government while the ordinary business of life continues,” he said. Since the 2014 elections and subsequent advent of PM Bainimarama’s Fiji First Party to power, some critics believe the country has been under draconian rule and that sections of society live in fear of voicing anti-government political views. For now until the next election at least, Fiji may be spared from another coup as the likelihood of Fiji First and PM Bainimarama winning the elections is strong. “For the moment, stability reigns in Fiji,” Firth said in his report. “The economy is likely to grow by 4 per cent in 2018 and Fiji rebuilds after Cyclone Winston. Fiji’s diplomatic connections have been restored, and it is now a recognised small player on the UN stage and in climate change diplomacy. Smaller parties are proliferating in advance of the 2018 elections but Fiji First is likely to leverage Bainimarama’s charisma and its own incumbency to secure another victory. 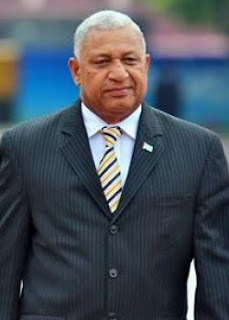 Yet, the present order in Fiji depends to an extraordinary extent on one man, Frank Bainimarama, whose eventual departure from the scene is likely to thrust the country into another political crisis,” he said.